Post Anime North mini doll meet! Immediately after all the fun and crazy antics of Anime North, I went out for afternoon tea with PlasticFantastic, Meo, Machiko, AlphaZ and our friend Mahoro who was visiting us from Edmonton! Since this was rather improptu, there were only a few dollies in attendance. I brought Micaela (DD Aoko) out on her first outing, and Mahoro brought his custom Miku and a couple of his cute little girls: Mimi & Hanako. Warning – lots of delicious food photos! 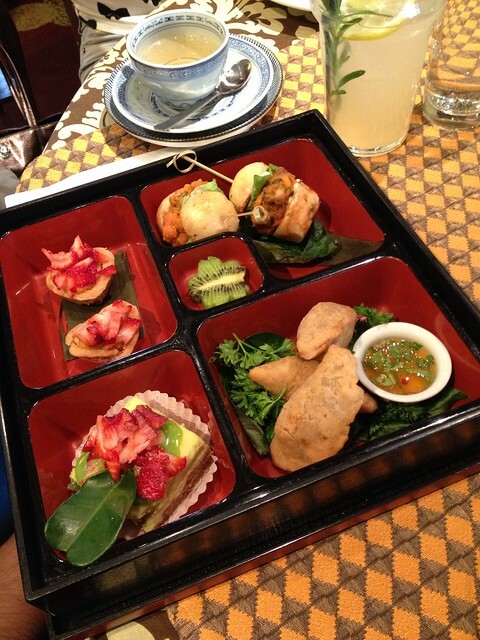 We went to one of my favourite spots in Toronto – the Red Tea Box and ordered a mix of tea bentos and regular menu items. 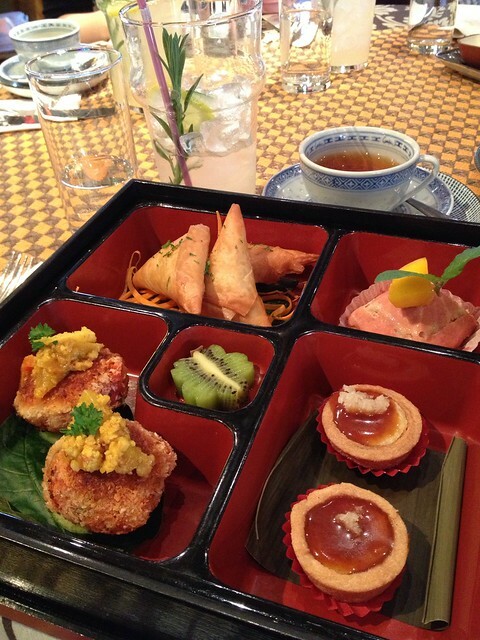 This is the Assam Tonganagoan Tea Feature Bento – with mango-raspberry mousse almond cake; Lime-coconut Tart; Spiced shrimp, pumpkin & coconut crispy triangles; tilapia cakes with tumeric cauliflower pickles, sesame and peanuts. 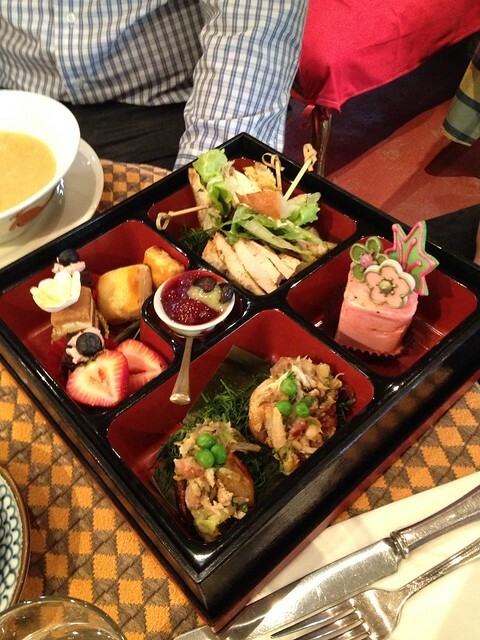 AlphaZ ordered the Mad Hatters Tea Bento served with sandwiches, smoked chicken wellington, scones and tea cakes. 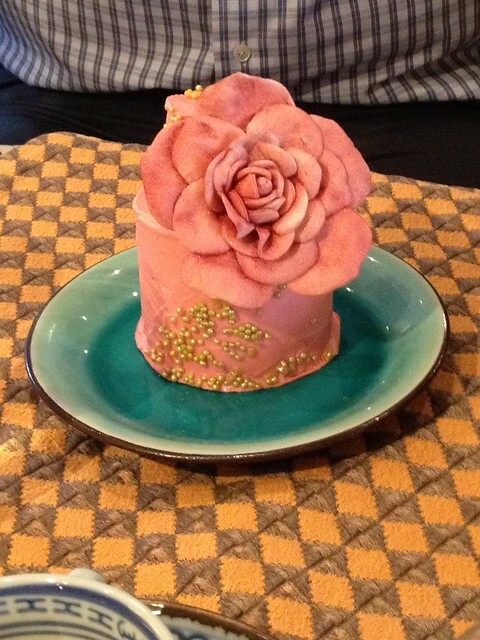 PlasticFantastic ordered this beautiful cake after her lunch! It’s a piece of artwork! After our late lunch we wandered downtown Toronto a little bit and eventually made our way to Kinton Ramen, one of my favourite ramen spots in Toronto. 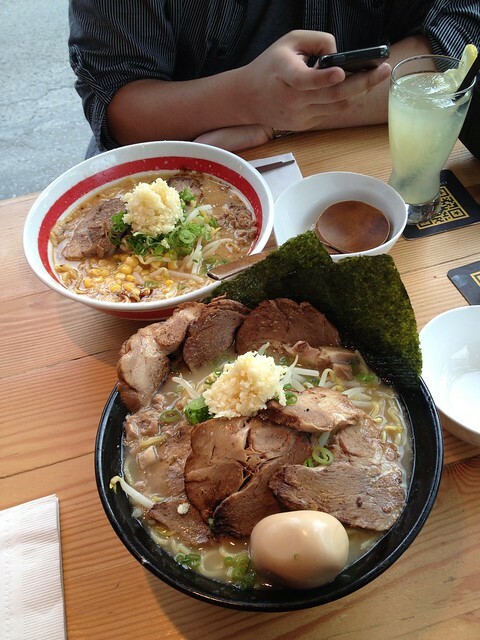 Here’s the Shio ramen with extra pork and extra noodles, and grated garlic!! At this point I was starting to feel the post-convention plague start to hit me which is why I packed on the garlic – it’s also super tasty! 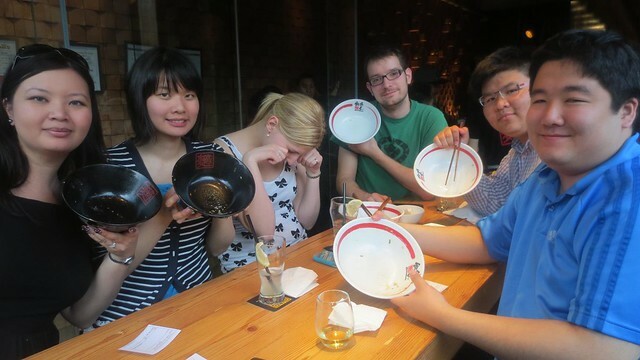 Most of us finished every last drop of broth in our bowls and became Kinton Bowlers! It was a fun way to wrap up Mahoro’s visit to Toronto. Hope you come to visit us again soon! 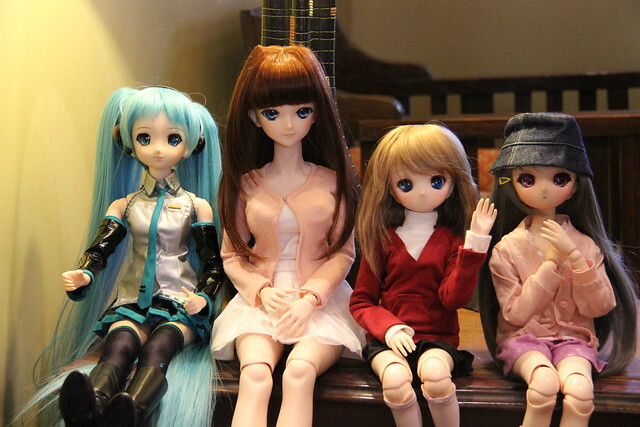 This entry was posted in Doll Meetup and tagged Aoko, Dollfie Dream, Micaela, Toronto by archangeli. Bookmark the permalink. You need to come visit! !